DETROIT -- General Motors Co.'s Chevrolet Division tapped two agencies to handle creative advertising during the first half of 2010. Publicis won work for the Chevrolet Malibu, Equinox and Traverse nameplates, the division said in a statement Friday. Longtime incumbent Campbell-Ewald will do ads for the Silverado and Silverado HD, in addition to some brand work for February's Winter Olympics. Campbell-Ewald will remain Chevrolet's agency of record while retaining the account for the division's retail business. 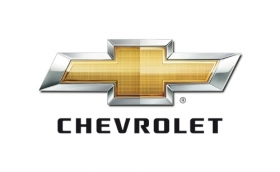 “We look forward to continuing our long-standing partnership with Campbell-Ewald, and forging a new relationship with Publicis to develop compelling, effective, creative to debut during the 2010 Winter Olympics,” said Kim Brink, Chevrolet's general director, in the statement. New ads will debut Feb. 12, the statement said. Vehicle-specific campaigns will run through the second quarter of 2010. Brent Dewar initiated the review several months ago when he was general manager and global coordinator of Chevrolet. Dewar left that post last week and will leave GM April 1 after 31 years at the automaker. He has been replaced by Jim Campbell. Chevrolet said its creative strategies for other vehicles will be announced later. The New York office of Publicis is among three finalists for GM's entire Cadillac national and regional creative business, as well as its digital account. Advertising Age contributed to this report.